IMO, the only bad thing about this brand is the marketing of the painted shells. The company that supplies 'Krabooz' in Australia is through 'Crazy Crabs' - which also supplies any other non-krabooz crabs in Australia, run by Merv - is just as bad IMO. The problem being is that many times the pet stores don't really care for their pets for sale, such as general care like tidying the tank and maintenance. But yeah, it is heartbreaking to see. aussieJJDude wrote: IMO, the only bad thing about this brand is the marketing of the painted shells. The company that supplies 'Krabooz' in Australia is through 'Crazy Crabs' - which also supplies any other non-krabooz crabs in Australia, run by Merv - is just as bad IMO. The problem being is that many times the pet stores don't really care for their pets for sale, such as general care like tidying the tank and maintenance. I agree. I’ve been on the Crazy Crabs website in the past, but all their products don’t have very good reviews and as you said, they market the painted shells to make the crabs stand out more to young children. 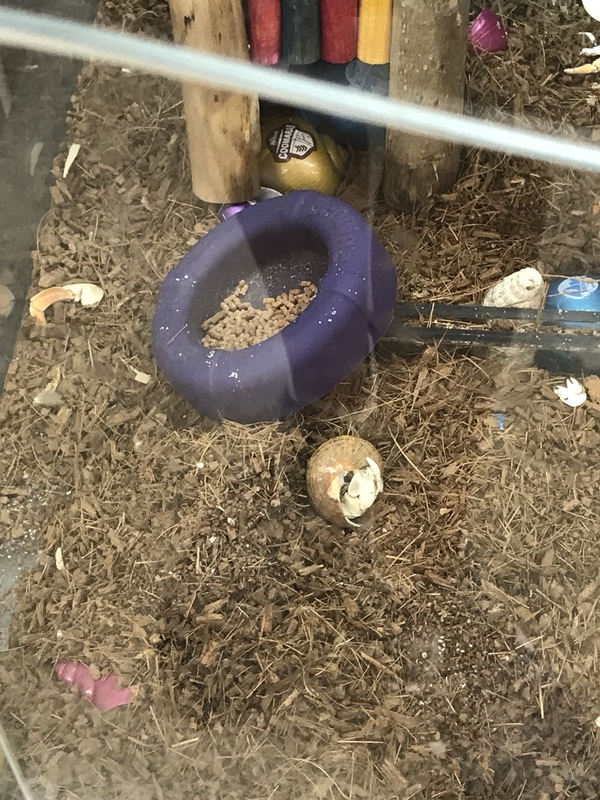 I wish Petbarn would maintain the tank, because every time I go there to buy food for the cats, I always see the tank in this state and all the crabs look miserable. 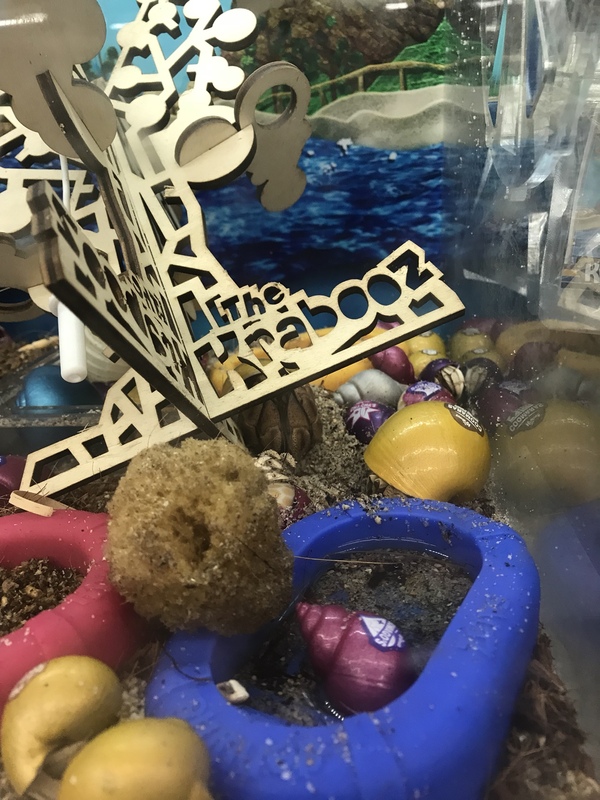 When I started off keeping hermit crabs, I discovered the Krabooz brand and bought the tank, accessories, food and crabs from them - only to realise about a month or 2 later and $270 later, that the setup was all wrong. That’s why I get so upset about this company still existing, because they are money driven and don’t care about the welfare of the crabs. They hit the US last summer with the "supplies" at a couple hundred Petcos, but it thankfully didn't seem to take off. Last I looked what was left was on clearance and the website and FB page were defunct. wodesorel wrote: They hit the US last summer with the "supplies" at a couple hundred Petcos, but it thankfully didn't seem to take off. Last I looked what was left was on clearance and the website and FB page were defunct. Glad to hear that the company didn’t really take off. 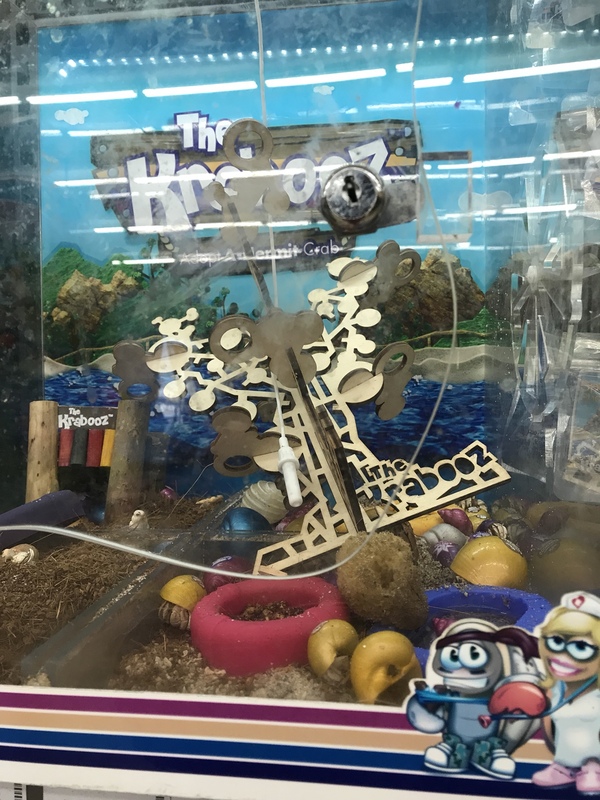 All of their products were way over priced, and the company knew nothing about the proper conditions that hermit crabs need to live in. People who have talked to Merv in the past have shown that he knows darn well what crabs need, he is just really good at being a salesman and making them seem like "easy" pets. wodesorel wrote: People who have talked to Merv in the past have shown that he knows darn well what crabs need, he is just really good at being a salesman and making them seem like "easy" pets. Oh I didn’t know that. I have been on the crazy crabs website in the past and saw that they were selling plastic containers as tanks, and painted neon starfish as decoration ect. which got me confused about how much he actually knows about crab keeping. At my local petbarn, the tank was in the exact same spot! Right in the middle of the sales floor where everyone walked past and unintentionally scared the crabs. They have just recently moved the tank to the reptile section, but right next to where the doors slide open, which means that they aren’t receiving the right temperature in their tank either! I once purchased that wooden tree hide that they made ages ago, and within about 2 weeks of having it in the crabs old tank, the wood started to rot on the bottom. Can’t believe that this company is still going.